Max Ehrich can be seen in the latest Netflix film, Walk. Ride. Rodeo. which is based on the incredible true story of Amberley Snyder, a nationally ranked rodeo barrel racer who goes on to compete after barely surviving a car accident that leaves her paralyzed from the waist down. From 2013 to 2016 Max also received four consecutive Daytime Emmy nominations for his role as Fenmore Baldwin in Young and the Restless. Not only is he a talented actor with an impressive resume under his belt but he’s also an amazing singer and songwriter as well so you can definitely expect more music from him real soon! Hi, Max! Tell us a little about your story. 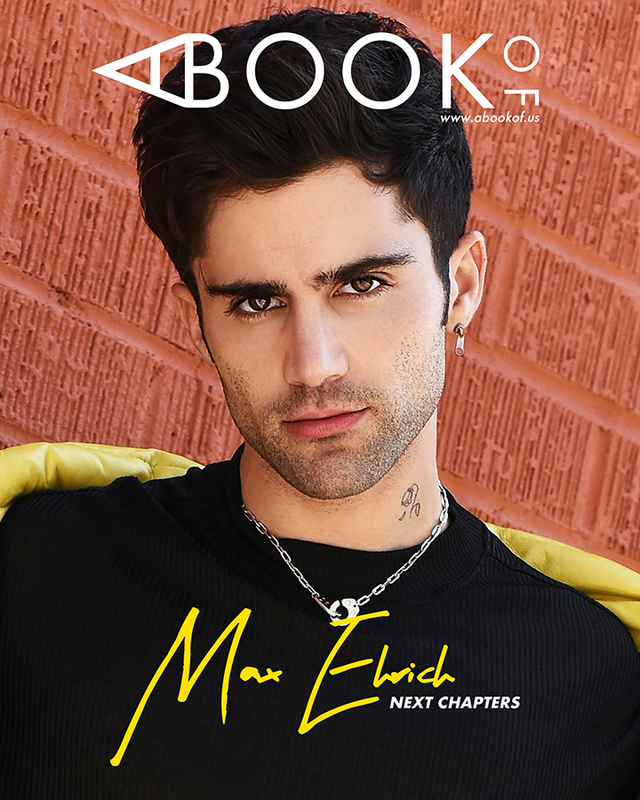 Who is Max Ehrich? That’s a question I ask myself daily. All jokes aside-I’m an artist constantly expressing myself through different acting projects and music. I try not to define myself by what I do; more that, I am someone who is constantly redefining a sense of self, trying to better myself, and using my platform to hopefully have a positive impact on society. What came first? Acting or music? Both. I grew up doing community theater which incorporated acting and music. Although, my earliest memory is playing piano with my Grandma. What’s your most memorable experience on the set of Walk. Ride. Rodeo.? I had the privilege of watching Amberley Snyder (Whom the film is based on) perform her own stunts in the film. As an actor, what type of roles do you normally gravitate towards? I get most excited by roles that have a lot more going on than what’s on the surface. A multi-dimensional character. Out of all the roles you’ve played, which one has resonated with you the most? I try and find a part of myself that resonates with each character I play. I haven’t played any roles that are similar to the artistic life I live, but that’s what makes it fun. Stepping into the shoes of a life unlike my own. What’s been the most proudest moment of your career so far? The proudest moment was receiving a call that Steven Spielberg watched my tape and personally signed off on me playing “Hunter May” in the Stephen King CBS Series, UNDER THE DOME. What can we expect from your new role in Lifetime’s upcoming series, American Princess? You can expect to definitely not root for my character in episode one. The trailer reveals why. Your song, Ride was such a big hit. Can we expect any new music from you in the near future? Yes; I’ve been writing music for some time now and will be releasing more songs this year. Top 3 songs in your playlist. I’d love to do a David O. Russell film opposite Jennifer Lawrence. A tell all; since I tend to be an open book. Especially with social media. It has definitely gotten me in interesting situations, but I am pretty open with things that I’ve encountered in my life with the intention of making anyone who has gone through similar things feel less alone. See Max as Tate Watkins in his latest Netflix film, Walk. Ride. Rodeo and be on the lookout for him in American Princess, June 2, 2019!